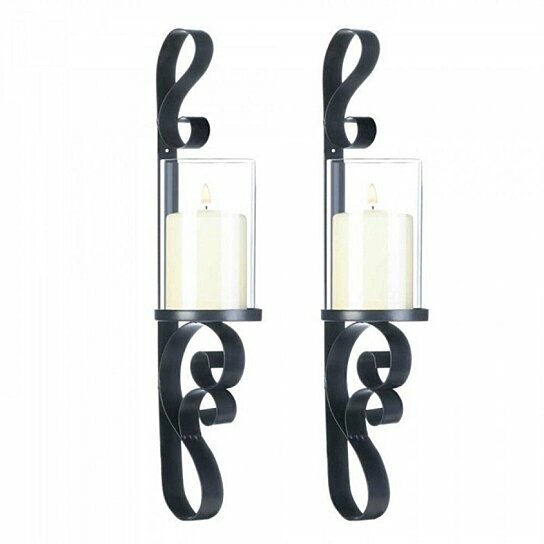 These beautiful iron wall sconces feature curled flourishes and a clear glass hurricane lantern that awaits the candle of your choice. This set of two will highlight any wall with glowing style. Glass cylinder: 3 1/4" x 3 1/4" x 5 1/2" high.